Hello World, the blog of Yoruba Andabo begins! The Company HAD ITS genesis in the docks of the port of Havana in 1961. When workers trade union Gathered at parties and art istic events. 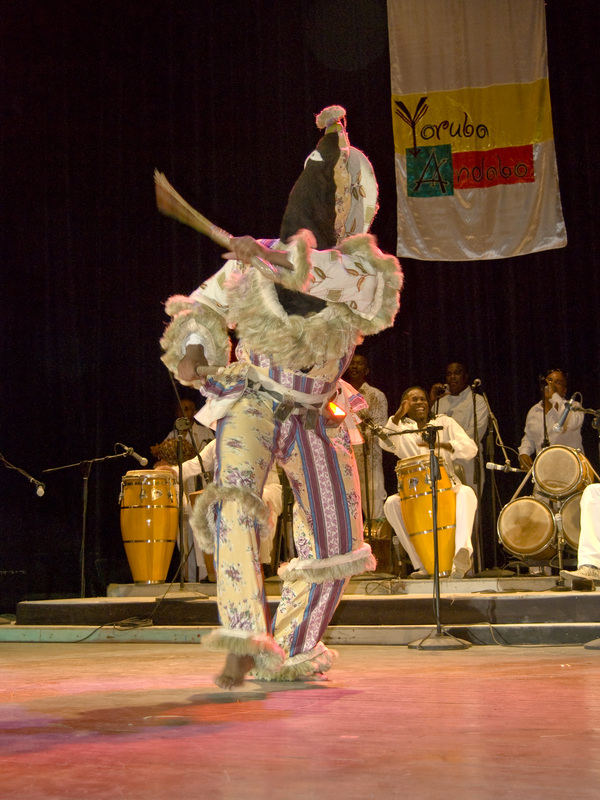 This Brought about the emergence of the Maritime Port Guaguancó ensemble in 1985 Began That ITS professional work under the name Yoruba Andabo. From That moment on, the music group has-been performing at different activities organized by the Cuban Union of Writers and Artists (UNEAC). Yoruba Andabo have worked With the Cuban record label EGREM, at the initiative of the composer and singer Pablo Milanes, and shared the stage With folk singer Merceditas Valdes. complex call of the Rumba With its traditional rhythms, Especially the Yambú, Guaguancó and Columbia rhythms. Also there are elements of fusion crossover With other musical genres, just thus creating contemporary voices and sounds. The skilled artists from the Company are professional and accredited instructors and offer master classes, lectures and workshops on singing, dance and percussion. They are motivated by a wide ranging musical repertoire interwoven with unique and exceptional choreographies Which grows year after year in a profound and meticulous way. The Company has its genesis in the docks of Havana in 1961, when a group of workers gathered at parties and union artistic events. They gave rise to Guaguancó Maritime Port, whole, in 1985, he began a professional career with the name of Yoruba Andabo. From that moment, he offered his art in various activities of the Union of Writers and Artists of Cuba (UNEAC) He worked with the record label EGREM, initiated by the composer and singer Pablo Milanes, and shared the stage with folk singer Merceditas Valdes. Currently, the company integrated 16 artists, singers, drummers and dancers. 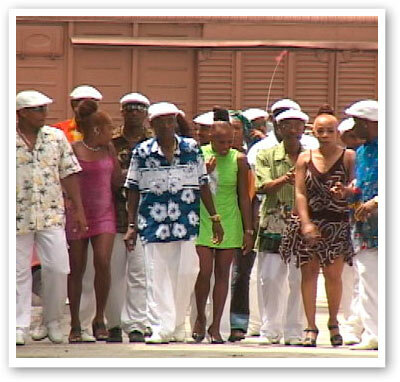 The cast grown dissimilar genres that make up the African roots of Cuban culture and include losciclos Congo, Yoruba, Abakuá and called the rumba, with its traditional rhythms, especially yambú, guaguancó and Columbia, but also They include elements of fusion with other musical genres, creating contemporary sounds and voices. Several Andabo Yoruba artists unfold as teachers and teach master classes and workshops in singing, dancing and drumming. Motivates them wide repertoire interwoven with unique choreographies that grows each year of deep and thorough manner. discography Yoruba Andabo exceeds twenty titles, many of which have won awards nationally and internationally. He conquered a Juno Award, the Canadian equivalent of the American Grammy Award nominations from the Academy of Music Spain and a shared and two nominations for the Latin Grammy. Andabo Yoruba art has been appreciated by audiences of important places and scenes from Canada, Brazil, the Caribbean, Colombia, Spain, Mexico, Geneva, Paris, London and the famed Carnegie Hall in New York. The Company is currently composed of 16 artists including singers, percussionists anddancers. 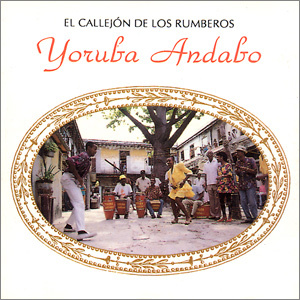 Yoruba Andabo cultivates distinct musical genres from the Africanroots of Cuban culture that includes Congo, Yoruba, Abakuá cycles and the so calledcomplex call of the Rumba with its traditional rhythms, especially the Yambú, Guaguancó and Columbia rhythms. There are also crossover elements of fusion with other musical genres, thus creating contemporary voices and sounds. Yoruba Andabo’s art has been appreciated by audiences at many well known public places and theaters around the world. 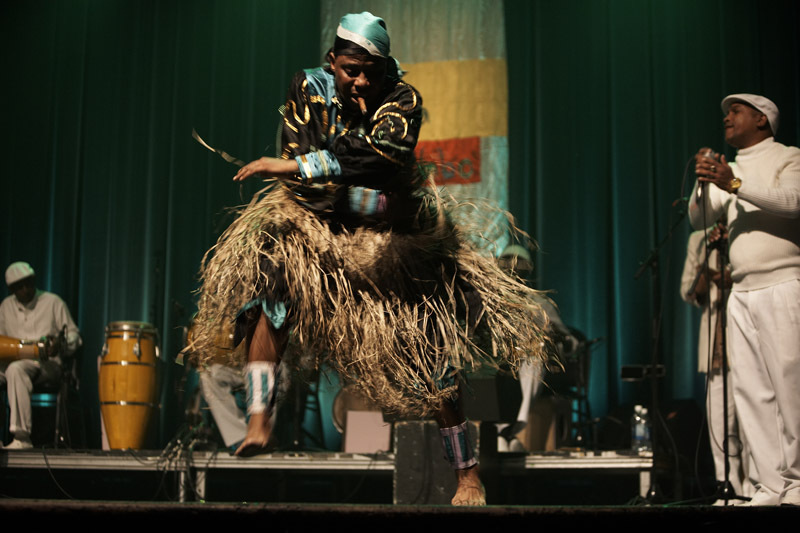 From Canada, Brazil, the Caribbean, Colombia, Spain, Mexico, Geneva, Paris, and London, Yoruba Andabo has even sold out and performed at the famed Carnegie Hall in New York City.